Before the fight started, Que’Chawn Wade was trying to walk away. 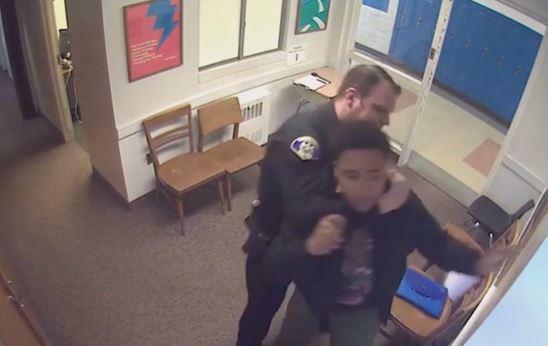 The 14-year-old student at Woodland Hills High School had just denied stealing a phone on the afternoon of April 3, when school officer Steve Shaulis asked if he was responsible for the theft, according to Wade’s attorney Todd Hollis. But when Wade tried to walk out of the office, Shaulis insulted Wade with a derogatory term for homosexuals, Hollis alleged, and dragged him back inside and punched him. According to Hollis Tuesday, Wade hasn’t been the only one to be manhandled by authorities in the last few years at the Pittsburgh high school. “Four kids have been injured as a result of some conduct by one or more administrators at the high school,” Hollis said at a press conference, according to the Pittsburgh Post-Gazette. Hollis released a pair of videos without audio, one of which showed Shaulis dragging Wade into a school office before, according to Hollis, he punched Wade hard enough off-camera to dislocate a tooth. 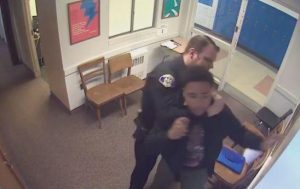 The second video, dated March 2015, showed another student put in a headlock by Shaulis and pushed to the ground, the Post-Gazette reported. 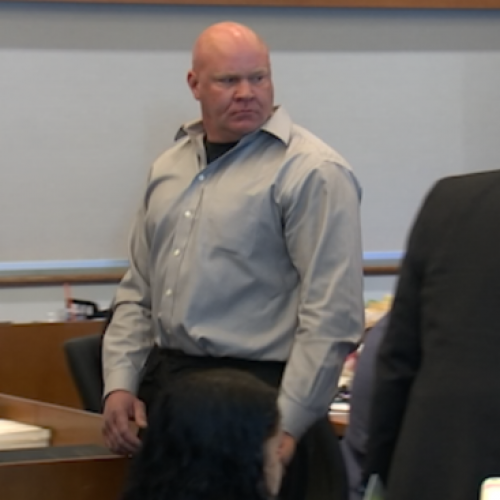 With the school’s principal Kevin Murray holding the student’s head down, Shaulis appeared to use a stun gun three times on the other student, Hollis said, according to the paper. “If a picture speaks a thousand words… a video has to speak a million,” Hollis also said, according to WPXI. Wade, who has been homeschooled since the altercation, was charged with resisting arrest and has a case pending in juvenile court, the Post-Gazette reported. The other student, according to Hollis, was eventually acquitted but received probation for disorderly conduct in the 2015 incident. The released videos were the latest in a string of bad press for the Pennsylvania high school, when Murray, the principal, was recorded in April 2016 threatening a third student that he would “knock his … teeth down his throat,” the Post-Gazette reported. But the district attorney’s office declined to press charges, and Murray returned from paid leave in January. 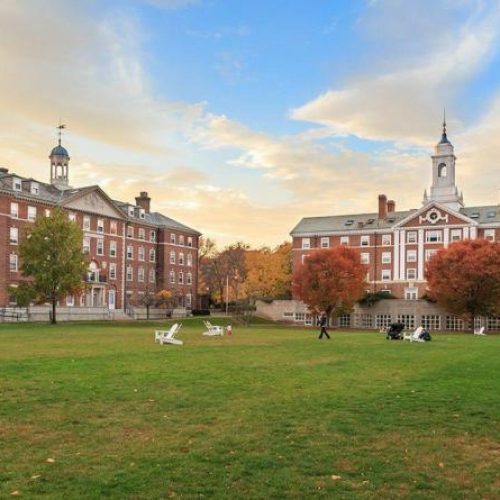 The fourth injured student, according to her attorney Tim O’Brien, was similarly treated by school authorities and had criminal charges “fabricated” against her in 2015 and 2016, he said. O’Brien, who appeared at the press conference Tuesday with Hollis, said that student and her family were considering a lawsuit against the school. The Allegheny County District Attorney’s office told the Post-Gazette it was aware of the videos Hollis released Tuesday, and that it is currently investigating Shaulis’ actions in the interaction with Wade.